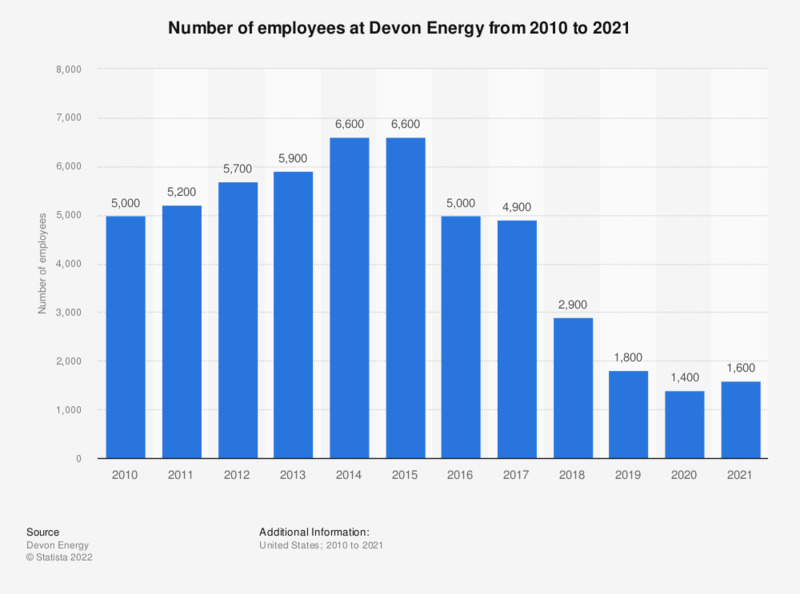 This statistic outlines Devon Energy's number of employees from 2010 to 2018. Devon Energy Corporation is among the largest United States-based independent natural gas and oil producers. In 2018, the company had approximately 2,900 employees.